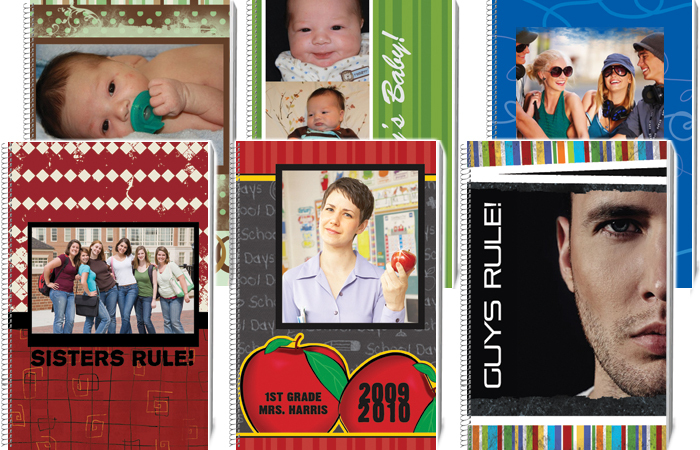 Personalized notebook printing with Photogalley's custom notebook design software. 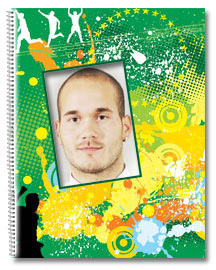 The cover of your notebook can be customized any way you like with your photos and text for a unique personalized notebook. 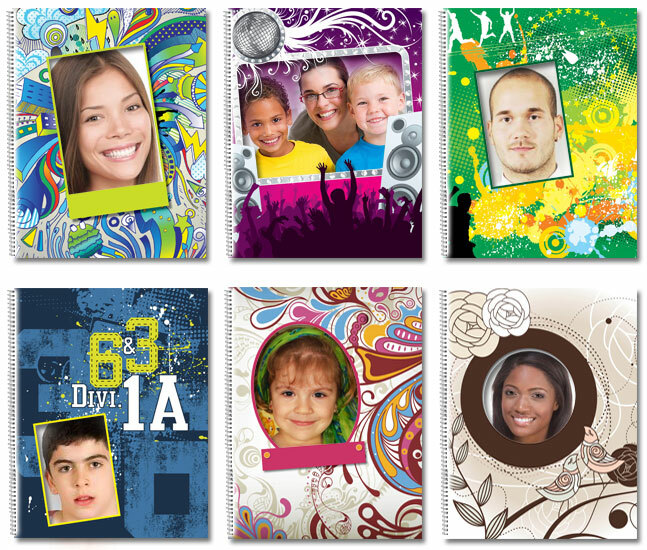 Personalized notebooks not only provide a great alternative to store bought notebooks they can be used as fundraisers and promotional tools.